At Least 19 Displaced in 4-Alarm Fire in Revere, Mass. At least 19 people were forced out of their home early Wednesday after a 4-alarm fire ripped through a building in Revere, Massachusetts. 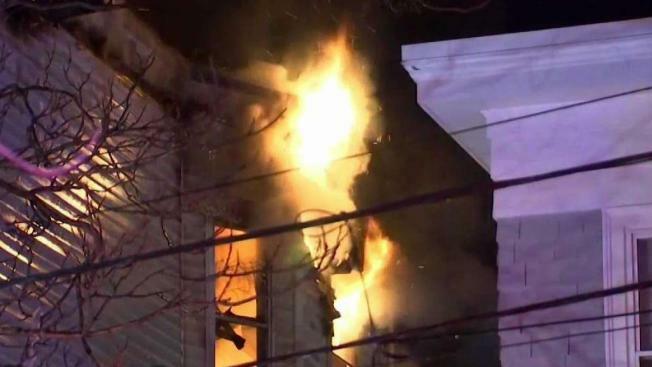 At least 19 people were forced out of their home early Wednesday after a 4-alarm fire destroyed a multi-family house in Revere, Massachusetts. The roaring blaze was reported at about midnight at a home near 2321 Thornton St., according to fire officials. The tenants, which included several children, were able to escape the flames safely. Smoke alarms alerted the residents of the danger, according to Deputy Chief Anthony Giampietro. Fire crews said the blaze started in the rear of the three-story house. They believe it may have sparked in the basement but that is still under investigation. 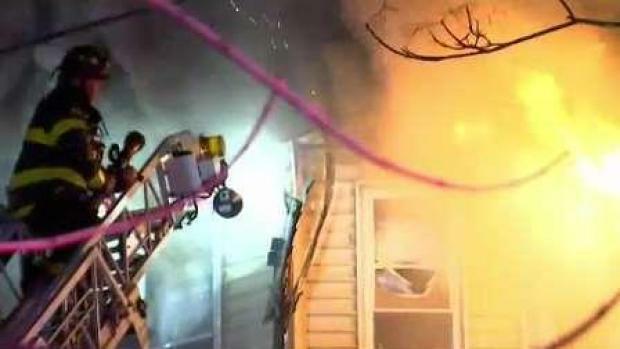 At least 19 people, included children, are without a home after a 4-alarm blaze destroyed a multi-family house in Revere, Massachusetts. No injuries were reported in connection to the fire, but the building was deemed a total loss.